The USGA’s official app for the Rules of Golf, updated to include the new Rules of Golf for 2019. This free app includes the edition of the Rules effective as of January 1, 2019. The Player's Edition is a shortened version of the Rules written specifically for golfers. The Full Rules and the Official Guide are designed for referees and tournament administrators, and are available after enabling Expert Mode within app Settings. Additional resources on the 2019 Rules, including videos, practice quizzes, etc.) are available at www.usga.org. If you need access to the 2018 Rules (effective through 12/31/2018), you can download our previous app from the app store or visit www.usga.org. Check back later this year for additional features to be released! Have any questions? Feel free to reach out to us anytime at rules@usga.org or 908-326-1850. I am a rules official for a PGA Section and frequently use this app because it lets yo move between references with a simple touch and then you can go back to where you were with another touch. I wish it also had a way to listen in audio. 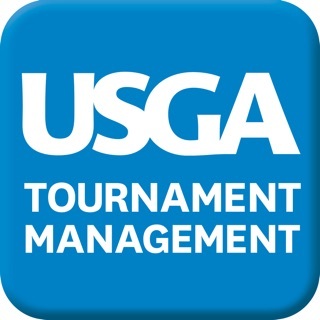 This app contains the full text of the USGA / R&A rules, organized to quickly access the rule for any situation on the course. Very handy and easy to use. I also recommend the optional companion "Decisions" module, which aids in the interpretation of the rules and how they are applied. Search, easy to read etc. I'd recommend that the app allow you to see the proposed rules in a different section as opposed to finding that information elsewhere on the USGA site.